The commemoration of the historical Battle of Mactan is just a few days away, and this means lots of activities and parties will be held in Lapu-lapu City in Mactan, Cebu. One of the most awaited part of this annual event is the re-enaction of the Battle of Mactan where actors play the part of Spaniards and native Filipinos as they battle it out in the shores of Mactan. This event is held in Mactan Shrine in Punta Engano. Also one of the top crowd drawers for the event is Kadaugan sa Mactan, where street parties are everywhere and different contest are held. Here is the schedule of the Kauadugan sa Mactan 2013!! Go to the Mactan Shrine every night during the week long festival and get to taste the specialties of the Mactan hotels like Sharngrila Mactan for only 100 pesos. There are aslo a lot of unique contests like the Sundown Beer Run, Photography Contest,Reyna Bulakna beauty pagent and more. 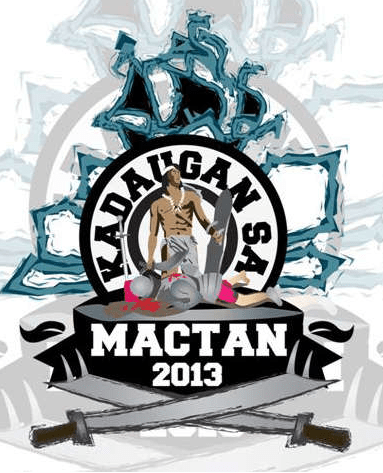 Go to Lapu-lapu City this April and see one of the best festivals in Cebu.. See you all in Kadaugan sa Mactan 2013!! !